Are you embarrassed by your scar, acne scars or stretch marks? When we have an accident or minor injury, our bodies work to repair the damage as quickly as possible. This means they focus on a quick repair, a scar, rather than a neat one. Stretch marks may be the result of pregnancy, or a sudden change of weight or shape, but the elastin fibres in the dermis break rather than stretch, and areas of deeper skin show through. 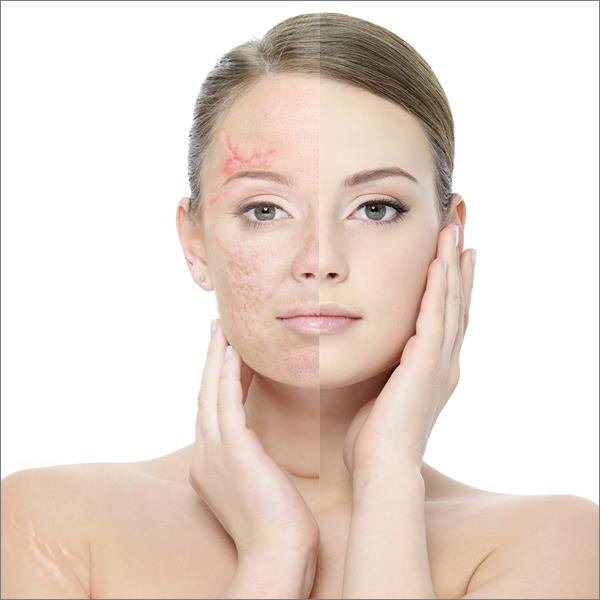 Acne scars are the result of the body’s response to severe acne, when our defense mechanism releases powerful enzymes, that work not only on the bacteria, but also damage the surrounding tissue. 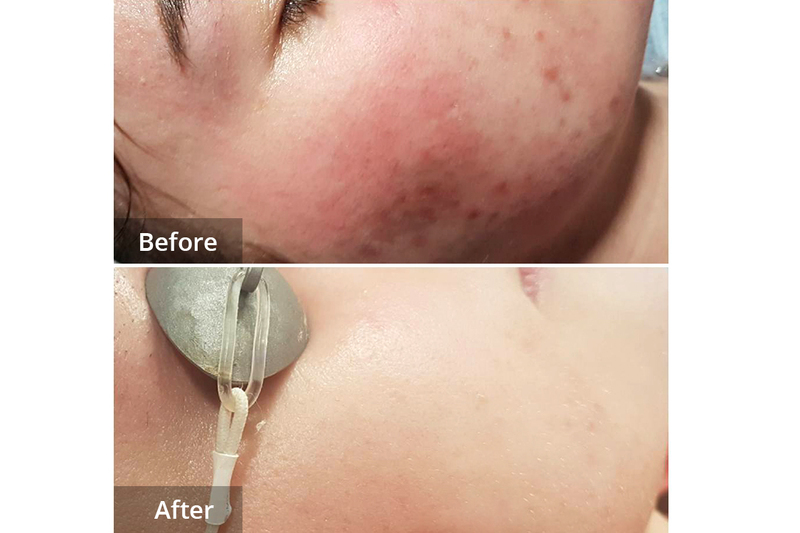 Selective Waveband Technology (SWT®) treatment alone can produce a significant improvement in scar tissue, particularly in the case of surgical or trauma scars. It does this by creating a vascular response in the blood vessels around the scar, which in turn leads to collagen replacement. Frax 1550nm laser treatment works by creating very small, very controlled islands of heat damage, surrounded by healthy normal skin. When the body repairs this controlled damage, collagen in the whole of the treated area is replaced, but more neatly than it was before. 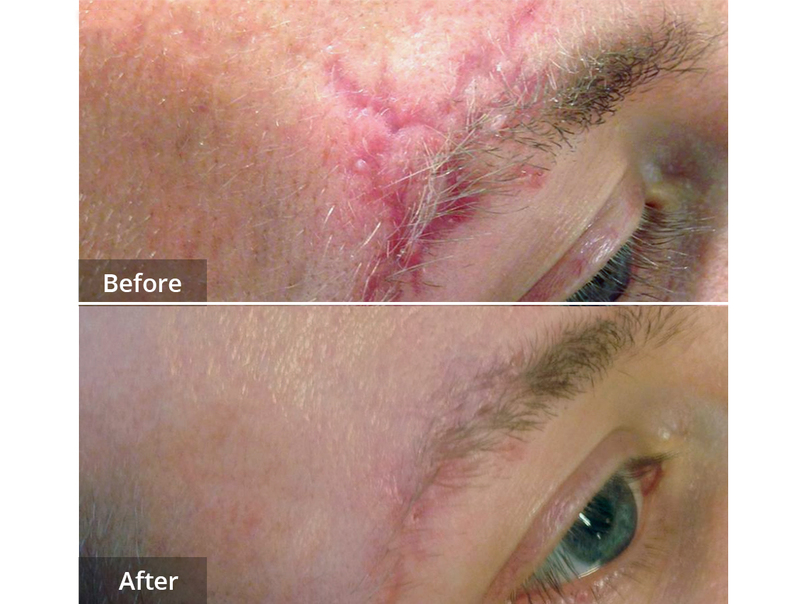 We use a combination treatment using SWT followed by the Frax 1550nm producing an improved result with less treatments. Which problems can be treated? Frax 1550 treatments can be used on most types of scars and on stretchmarks. The best results will be found on scars or stretchmarks that are quite recent, rather than very old pale ones. Frax 1550nm treatment normally involves the use of a local numbing cream, which is normally applied 30-40 minutes before treatment. Typically treatment procedure itself takes from 15-45 minutes, depending on the size of the area to be treated. It is important to avoid solarium and self-tanning products before and during the treatment period. It is possible to treat tanned skin, but reduce sun-exposure prior to treatment, otherwise the treatment will be less effective and less comfortable. You will get maximum results if you use a normal moisturising cream before and after treatment. After treatment, you should avoid sun exposure for 30 days, or use sun protection (minimum SPF 30) if sun exposure cannot be avoided. Typically you will be offered a course of four treatments, but if you are darker-skinned, you may need a longer course of gentler treatments. Treatment may be a little uncomfortable, which is why we recommend the use of a numbing cream. After this wears off you will have a few hours where the skin as if you have a light sunburn. How can I be sure the treatment is safe and effective? Clinical trials documenting treatment’s safety and effectiveness were carried out by leading doctors prior to the launch of the treatments. Trauma scar. Before and after 1 laser treatment. For more information feel free to contact us or book consultation now!